The community pool is open to non-resident membership for a fee competitive with other neighborhood facilities. 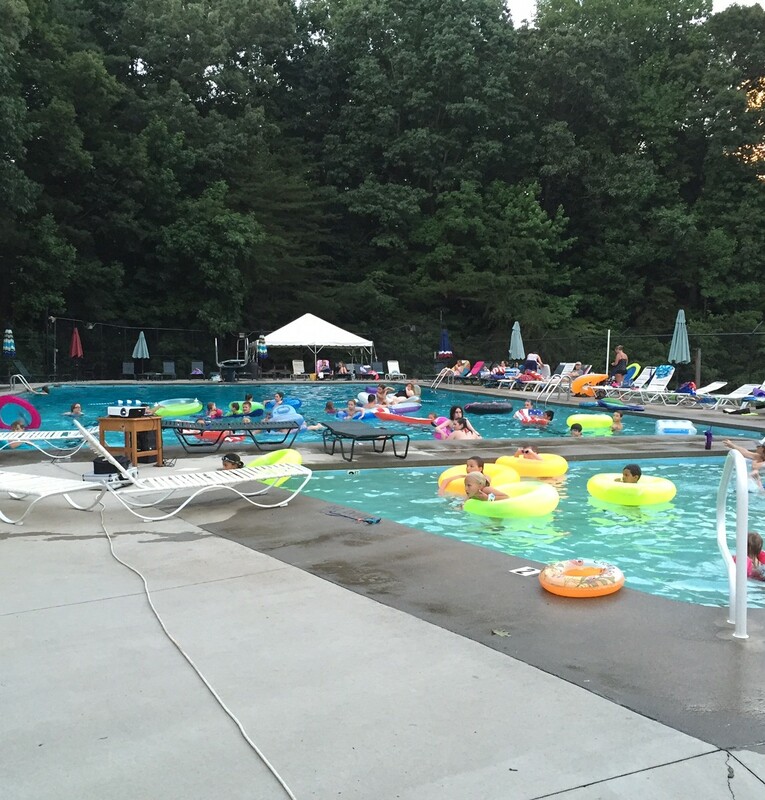 There is a substantial reduction in pool membership fees for Shallowford Lakes residents. Visit our Pool Membership page for more details to select the right membership type for you! All swimmers should shower before entering the pool. If you must leave the pool briefly, please rinse feet before returning to the pool. Swimming in cutoffs is not permitted. Disposable diapers prohibited in the pool – use approved swim diapers only. Spitting, nose blowing, or gum chewing is prohibited in or around pool. Glass containers are prohibited. Use plastic or paper containers. Pets are not permitted within fenced area of the pool. An adult must accompany all children under the age of 12. Running, pushing, wrestling, dunking, or causing undue disturbance in or around the pool area is prohibited. When using the diving board, wait until the area under the board is clear of swimmers. Metal toys are prohibited. Small inflatable rafts and other floating toys, though permitted, may be removed to alleviate crowded conditions at the discretion of the lifeguard. No toys are allowed past the rope. Only small children may use the wading pool. Parents will be responsible for the safety and conduct of their children. The life guard chairs are off limits to all persons. Deposit trash materials in the appropriate receptacles. Bicycle riding is prohibited within the fenced area of the pool. Smoking is prohibited within the pool area. Objectionable behavior or language of any type will not be permitted. Alcoholic beverages and illegal drugs are prohibited. All persons must leave the pools and deck area during electrical storm or imminent threat of it. Lifeguards, pool manager and assistant pool managers have the authority to enforce these rules. The consequence for serious rule violation will be expulsion from the pool and pool membership revocation without reimbursement. The SLA Board of Directors has the sole authority to grant reinstatement and requests must be made in writing.